At a time when the place and significance of myth in society has come under renewed scrutiny, Myth, Literature, and the Unconscious contributes to shaping the new interdisciplinary field of myth studies. The editors find in psychoanalysis a natural and necessary ally for investigations in myth and myth-informed literature and the arts. At the same time the collection re-values myths and myth-based cultural products as vital aids to the discipline and practice of psychoanalysis. The volume spans a vast geo-cultural range (including ancient Egypt, India, Japan, nineteenth-century France, and twentieth-century Germany) and investigates cultural products from the Mahabharata to J. W. Goethe’s opus and eighteenth-century Japanese fiction, and from William Blake’s visionary poetry to contemporary blockbuster television series. It encompasses mythic topics and figures such as Oedipus, Orpheus, the Scapegoat, and the Hero, while mobilising Freudian, Jungian, object relations, and Lacanian psychoanalytic approaches. 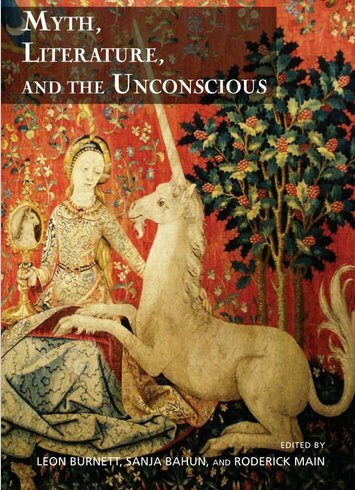 Bringing together an international array of both leading and emerging researchers, Myth, Literature, and the Unconscious provides an exceptionally rich overview of the concerns and exciting possibilities of this new interdisciplinary field while simultaneously contributing to scholarship on the literary texts and psychoanalytic concepts it evokes.